Panic Room is a film that is both clever and at the same time thrilling, Fincher although not creating a classic but a film which is always remembered and known. A great storyline with innovative effects make for an entertaining and fulfilling watch, whilst stars such as Jodie Foster and a young Kristen Stewart add solid performances to cap of a good release. The storyline focuses on a woman and her daughter on their first night within their new large Victorian three-floor apartment. Meg (Jodie Foster) is mum to Sarah (Kristen Stewart), divorced she looks after her diabetic and bold teenage daughter but her night is troubled when intruders invade. Three men searching for a missing and hidden fortune break into their new home but when Meg and Sarah are awoken by their surprised visitors they take refuge in the house’s panic room but what the intruders want is where the hosts are hiding. The intruders think of ways to fight their way in and scare the pair out, but locked away Meg and Sarah try their best to survive and get help fuelling for some exciting events. Thrilling is an understatement, there are many jumpy and heart-racing moments throughout Panic Room achieved by some great screen-writing. There’s real horror to the idea of someone breaking in whilst you’re asleep and likewise being trapped within your own house with three intruders. There always seems to be huge plot twists and deciding moments too which keeps the story not only entertaining but fast-paced which is a huge highlight to Panic Room. The acting ensemble is also a distinguishing feature to Fincher’s film; Jodie Foster and Kristen Stewart give solid performances which add to the film’s thrilling experience. However equally as impressive was the roles and acting of the three intruders. Forest Whitaker, Dwight Yoakum, Jared Leto play Burnham, Raoul and Junior. Whitaker’s Burnham is a great character although a thief and burglar there is a real likable and sympathetic aspect to his character and persona. Whilst newly Oscar-famed Jared Leto plays the brilliant, clueless and funny character of Junior who is equally lovable and hateable. Panic Room’s performances really live up to the films overall quality and add again to the experience created. David Fincher’s directing is great really creating the heavy, isolated and somewhat claustrophobic feel very successfully. The way the camera’s floated through everything and fly around the house is awe-inspiring something very new and innovative for almost 12 years ago. The very opening credits as the letters floated on the Manhattan backdrop was flawless and set the tone for the amazing camera work throughout. Although this is an underrated release from Fincher he should be praised for not only bravery to accept such a challenging task but his excellence in achieving such an exciting film which is only set within one house and mainly in one room. The only faults that Panic Room holds are at times the annoyance that gets created by Foster’s Meg’s clumsiness. At many times simple things turn into drastic and dramatized moments, such as reaching for a fallen phone and knocking over loud furniture which at times can even be predictable. The only other picky thing I can fault is how I would have liked to seen a bit more justice or closure on the character of Burnham. However these aspects really don’t put down this film too much. Panic Room deserves much more praise than it gets, alongside writer and director David Koepp and David Fincher for creating such a thrilling clever film. It can be so tense and thrilling it is amazing considering the simplicity of the events and setting. It isn’t as outstanding as other Fincher films but it is new and unique and shouldn’t be forgotten, easily watchable and enjoyable Panic Room is the definition of entertainment in many ways. The Way Way Back to my surprise was a film that I saw on a lot of lists come the end of 2013 but since watching I can certainly agree with its inclusion. Surprisingly warming, pleasant and funny it sways from the stereotypical “teen-comedy” and produces a refreshing much welcome change. Good solid performances from the whole cast along with a witty well-written script The Way Way Back is entertaining and defiantly deserves its praise. Duncan (Liam James) is a shy, in-the-background 14 year old who doesn’t have a conventional lifestyle and is forced to go on summer vacation with his mother Pam (Toni Collette), her horrible arrogant boyfriend Trent (Steve Carell) and his equally annoying and spoilt daughter. Whilst his mum is busy putting herself “out there” meeting Trent’s vacation friends Duncan finds himself left out and unable to fit in. Riding around on an a pink little girls bike he discovers the Water Wizz Park and quickly forms a bond with manager Owen (Sam Rockwell), finding an unexpected friend in Owen, Duncan soon finds out how to enjoy his summer vacation but he still has to face is overbearing and disastrous family. The story is pleasant, although at first it looks to be the typical comedy of the neglected family member getting revenge or becoming a hero or a romanticist it changes and somewhat becomes more serious. Duncan’s relationship with Owen is hilarious and obviously the highlight, he is given power and earns a reputation at Water Wizz and with that Duncan comes out of his shell and turns out to be a funny and “cool” kid. The relationship though is also pleasant as it is obvious that the two have a bond and Duncan looks up to Owen as a role model in ways, the way that the Owen looks out for Duncan is very warming too. 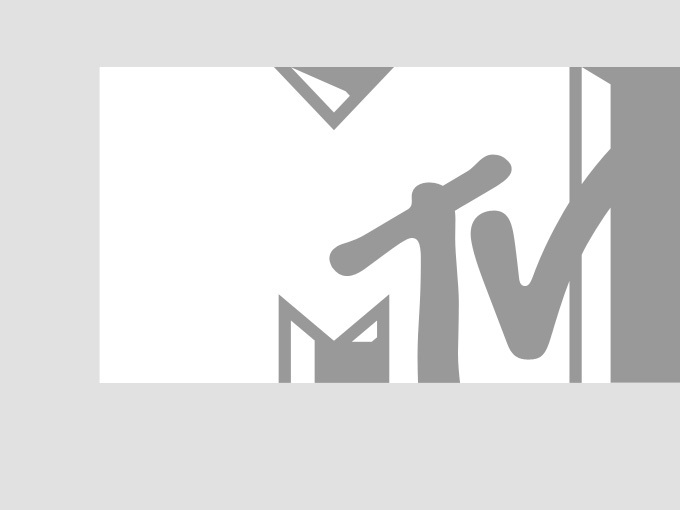 The other relationship storylines in the film are not as good but decent, Duncan and his mother obviously need to repair their broken relationship so we follow that throughout, whilst Pam actually has her own problems with the very easily dislikeable Trent and finally a small subplot follows Duncan having a romance with his neighbour however it is very cheesy and for me unnecessary. Liam James plays Duncan very well, he is easily likeable and we route for him throughout and he provides plenty of laughs, one very memorable scene is when Duncan is made to dance (including the classic robot) in front of a huge crowd at the water park. Rockwell’s Owen however is my favourite character; he provides the main comedy and in a way makes this film very easily watchable. Steve Carrel also deserves credit for his role as obnoxious Trent and likewise for Collette’s Pam. Although small characters in the film, neighbours Betty and (eye-patch) Peter are absolutely hilarious and provide even more likability to The Way Way Back so they deserve a mention. The ending to The Way Way Back is very warming and wraps up the film nicely however for me there are still picky criticisms. I would have liked to see a quicker start, although it opens with great introductions it attempts to trick us with Duncan’s romance whereas I would have liked to seen Owen introduced much more quickly, and on the note of the romance I would have scrapped it all together as it isn’t “Duncan”. In a whole The Way Way Back is a bundle of laughs and fantastic comical moments, with a well-written script and characters it makes for a surprisingly great watch. Standout performances from Liam James and Sam Rockwell add to the entertainment and create a pleasant feel to balance out the comedy. The Way Way Back is a worth-while experience that is easily watchable and enjoyable. The Call is a surprisingly tense and thrilling watch which thrives off a fantastically written and unique storyline. Slightly overlooked when released in 2013 The Call certainly deserves a lot more recognition and credit than it has been given. Halle Berry giving a solid performance alongside Abigail Breslin adds to Brad Anderson’s good direction, making for a very entertaining experience. 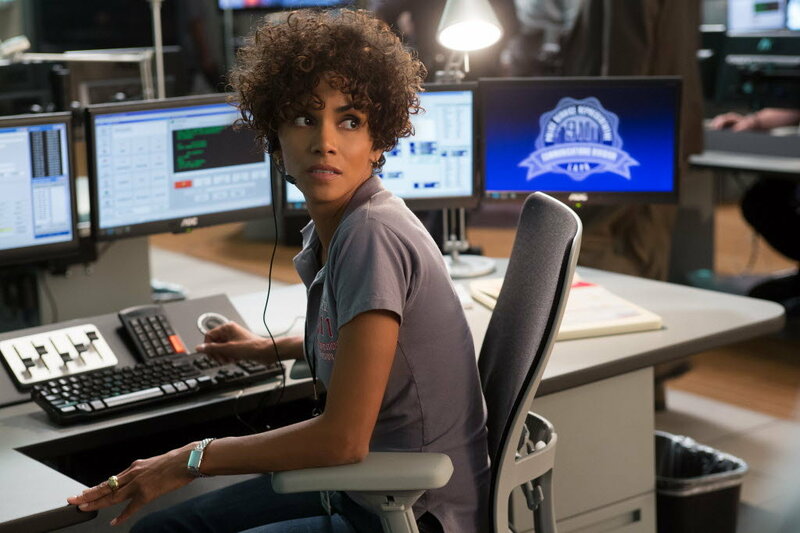 The story surrounds Jordan Turner (Halle Berry) an experienced 911 operator but after making a bad error which leads to a shocking incident she is doubtful of her future and ability. However when an abduction call takes centre stage in the operating “hive” room Jordan has no choice but to step up to the occasion and take charge. On the other end of the phone is Casey Welson (Abigail Breslin) a young teenage girl who’s been thrown into the back of a man’s car, trapped inside the boot she soon realises her kidnapper is more dangerous than first thought and Jordan is her only link between death and survival. Jordan uses all her experience and quick thinking to protect Casey but being on the end of the phone there’s only so much she can do, but she will not stop until justice is served. What amazed me so much about The Call was its somewhat unique insight into what happens between 911 operators and their callers along with what happens within the centre itself. It was eye-opening to say the least showing the emotional impact that operators have to go through every time they answer a call which is actually tragic. It was also a different perspective to follow a “crime thriller” story from, knowing that our only connection to Casey was through the phone made it even tenser to watch. How thrilling it was to watch was a massive highlight of the film, leaving you constantly intrigued. The acting for me was another stand-out, Halle Berry a famous name but one that has not been too seen in recent years gives a great performance that really dramatized the events occurring. Her co-star however Abigail Breslin was even better, a young actress who has been making a name for herself appearing in August: Osage County most recently shows again signs of a promising career. Anderson’s directing too was at times outstanding along with the cinematography by Tom Yatsko; one scene that blew me away was when we saw our antagonist beat a man to death with a shovel, with the actions being shown through a gap between a passing truck, it was a quick flash and was so effective. It was just a shame that the majority of scenes were not as amazing and eye-catching but average. The things that stop The Call being a really standout film mostly happen in the final act as the film comes to its climax. It slips into the conventional horror ending where things become too unrealistic to perceive and plot devices are far too obvious. The way Halle Berry’s Jordan is portrayed too is a downfall, her character like most in films goes from being reactive to proactive however in this case it was unnecessary and the transition was not at all disguised. She becomes clumsy and takes risks when at the beginning she is calm, composed and successful. The ending however was a real surprise and although it can be seen as too on the nose or out of the blue I think it just about worked and the writers pulled it off. The Call thrives of a very successful storyline which is surprisingly thrilling and tense, also being well captured and portrayed by the two lead characters. Although it isn’t an award winning film to shout about I still think it was a very good film which is easily watchable and enjoyable. In a year where many released disappointed, The Call deserved much more credit as it was for one of the most intriguing thrillers to watch being totally entertaining too. The Place beyond the Pines was a film that slipped past my radar in early 2013 but it soon became top of my “must-see” list after seeing it top many “Best of the Year lists”. It is safe to say those plaudits were spot on as many aspects of Derek Cianfrance’s release are flawless. Following a fantastically written story which has been executed equally as good, it is further topped off by a great casting ensemble. The Place beyond the Pines is a film that is totally entertaining, and leaves you reflecting days after which again adds to its brilliance. We follow the life of Luke (Ryan Gosling) a dreamy motorcycle stunt rider, rebellious and dangerous we quickly form a bond routing for our protagonist. On a circuit tour living the carnival life he performs in the New York town of Schenectady, where he then attempts to reunite with his previous lover Romina (Eva Mendes). Secretly and unknowingly to Luke, Romina has recently given birth to his son, in an act of courage Luke makes a bold decision to quit riding and settle, providing for his new family. Obstacles soon appear for Luke as he has to fight for Romina and his child with new lover Kofi whilst his new wage earned being a mechanic is staggeringly low. Turning to a life of crime to support his family giving them a life and experience he always wanted, Luke robs a series of banks. However his life as bank robber soon puts him on the path with ambitious and eager police officer Avery Cross (Bradley Cooper). Looking for a quick way up the ranks Avery has to battle within his department as well as out, as it is riddled with a set of corrupt superiors. Luke’s and Avery’s path of sin and trouble soon changes their lives for the worse. Forwarding into the future we then see how these past sins haunt a pair of high school boys trying to accept the legacy they inherited. As life once again proves to be more than complicated the only refuge is a place beyond the pines. The story is one that still amazes me for many reasons, the element of realism and the outside perspective of a “ripple effect” are somewhat brilliant, but the top of the list is how well executed The Place beyond the Pines is. It left me reflecting how past actions have affected the present and even the future of my life. The way this drama unfolds is also truly brilliant, there’s at no point a dull moment and I was kept entertained and intrigued throughout. The characters and the development were flawless too, Ryan Gosling’s Luke was our hero, the true “anti-hero” in an aspect, and scenes where he played with his son and attempted to put together new cots were actually and surprisingly pleasant. Then when we switched to follow the life of Cooper’s Avery we found a new hero and events to be entertained by. The casting ensemble was also great and deserves much applause and credit. Gosling played his dreamy Luke brilliantly likewise with Cooper and his Avery. Eva Mendes although a slightly more back-grounded character still portrayed and captured an excellent performance, with all three characters really inspiring and connecting with us. Derek Cianfrance directing was a real highlight too, with many shots being awe-inspiring whilst all scene’s emotions were really heightened to full potential and impact. On a final note and a deserved mention was the score which provided an equal amount of entertainment with Bon Iver’s The Wolves and Mark Patton’s Snow Angel becoming new favourites. In a whole The Place beyond the Pines left me feeling very entertained and thoughtful and upon reflection the film is flawless with every aspect executed well and interacting together brilliantly. I am surprised this release even slipped past my radar and didn’t become a much talked about huge success. 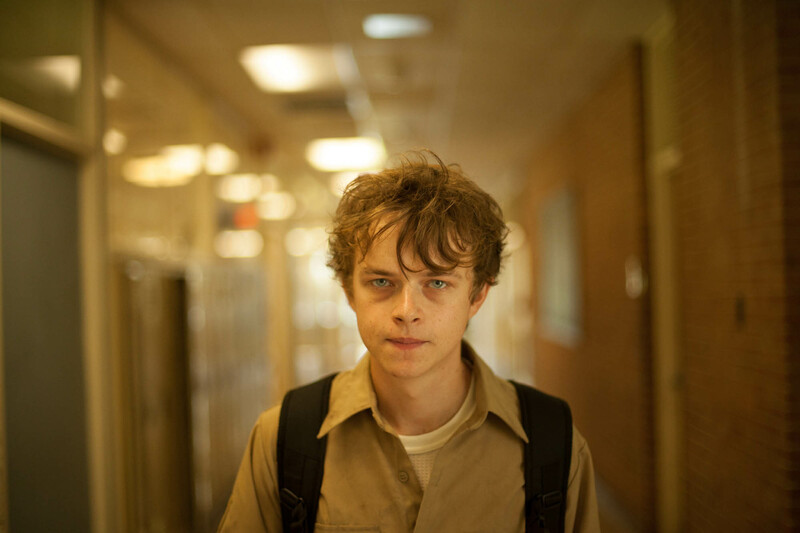 To say The Place beyond the Pines is a “must-see” is a given, and I can only hope that it has the same remarkable impact on everyone else. 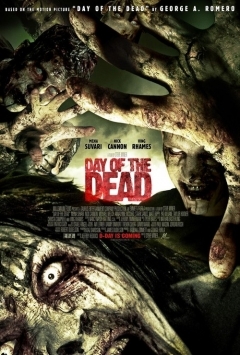 After the very much successful remake of George A. Romero’s 1978 Dawn Of The Dead a remake of another classic was obvious, so four years later Romero teamed up with Jeffrey Reddick this time to recreate his Day Of The Dead. However this film doesn’t compare to “Dawn” and is not even on the same level, even the original didn’t but when comparing them as remakes its not even a contest. One of the flaws is that it doesn’t follow the original whatsoever except the use of the original names for a few characters. Okay, so it doesn’t exactly follow the old script and it doesn’t have to, to be a good film, but the storyline is so modern and overused it ruins the original feel to it and dresses it up as an everyday “zombie” film. The military closes off a small town in Colorado for some “special training” and it just so happens to be at the time most of the neighbourhood has some flu-like virus. However as the local medical centre overruns and the virus begins to develop it becomes clear that this isn’t something that a few aspirin or paracetamol can sort out, the virus starts to turn people into flesh eating raged filled monsters. Whilst limbs are being ripped off and blood splattering every wall and pavement in the town tough female soldier Cpl. Cross (Mena Suvari) back in her hometown must escape with the help of a few colleagues and on the way rescue her recently reunited brother and his girlfriend. Cpl.Cross is joined by Salazar (Nick Cannon), a soldier who acts likes he’s in a ninja video game and Bud (Stark Stands), a “newbie” who’s a polar opposite being sensitive, kind and a vegetarian. They are trapped in a hospital surrounded by Zombies with a limited supply of weapons. In a inventive and action packed gruesome fashion they fight their way to a hummer to escape. Trapped and hiding in a nearby radio station is her brother Trevor (Michael Welch), a spoilt teenager with a bit of a grudge and attitude, he’s joined by his squeamish girlfriend Nina (AnnaLynne McCord). After being rescued they search for answers in a underground lab, in which they find the truth about how their town has been wiped out but still face the problem of the flesh eating ghouls. The rest of the film gives us unrealistic action, explosions and more blood, jumps and scares in attempt to entertain us. The film tries to play on the growing and recovering relationship between Cpl.Cross and her brother but in all truth it isn’t one bit touching or heart warming but cheesy and expected. The most enjoyable character in this film for me is Salazar, he brings the action and although unrealistic it provides us with the gore and blood we came to see and wanted. Despite its flaws Day Of The Dead deserves some credit for their faster, smarter and uglier zombies. The zombies show how much has developed since George A. Romero’s original film but furthermore take a new aspect. The zombies tend to remember something from their previous life, whether it be a trait or a memory, this leads to the creation of a smarter and more dangerous zombie that we get to meet in the closing stages of the film. To me the films protagonists somehow remind me of the monsters in I Am Legend (2007) in the way they jump and climb ceilings and walls. All in all Day Of The Dead isn’t the best but It isn’t quite the worse, many including myself expected far much better but that wasn’t provided. The film doesn’t quite take the full use of George A. Romero’s original and with some shabby acting and some cheesy side plots it lets itself down. Fanboys and Romero worshipers will be bitter after viewing this but if you just want some action, blood and gore you will probably be mildly entertained, but I wouldn’t go out of your way to go and see it.